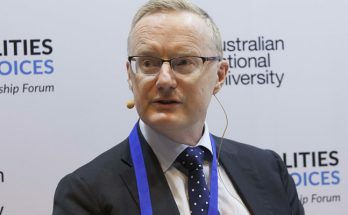 With three big banks reporting interim results in early May, it will pay investors to look at the first Financial Stability Review of 2019 from the Reserve Bank and remarks on the profits and earnings. Credit Suisse points out ANZ’s recent announcement, that it may have been too conservative in its approach to mortgage lending, has been interpreted by some that this is an inflection point for growth. 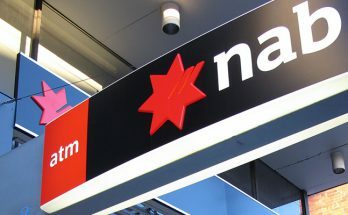 It’s only been a month since Hayne’s final report has been released, but far from driving a stake through the financial hearts of the Big Four Banks – Commonwealth, Westpac, ANZ and NAB – their position is returning to being as dominant as ever. More than $20 billion was added to the value of listed financials – lead by the big four banks yesterday after investors concluded the outcome from the Hayne banking and finance royal commission would not damage their business models our futures. 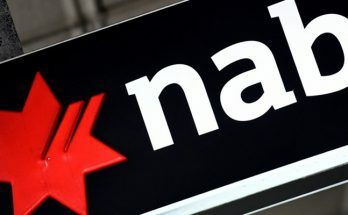 The National Australia Bank is in the gun following the release of the final report from the royal commission which contained very sharp criticism of the bank’s chairman and CEO. The long-awaited final report from the finance and banking Royal Commission will be released this afternoon at 4.10 pm (there is a media lock up this afternoon ahead of the release) and while there will be a lot of heat and light and promises from the Morrison government, there will be nothing concrete. Now for the AMP next May after three of the four big banks took hits from upset shareholders at annual meetings in November and December. 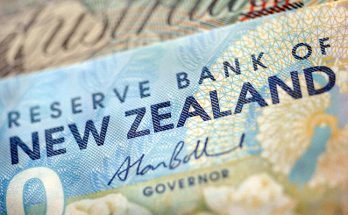 Australia’s big four banks, already reeling from a stagnant home loan market and revenues, the fallout from the Hayne Royal Commission and censure from upset shareholders, now face more financial problems in their most profitable offshore market – New Zealand. 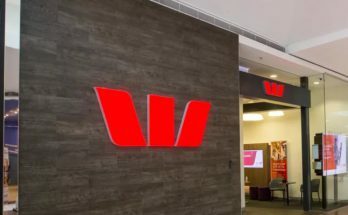 Westpac was on Wednesday, it will be the turn of NAB and ANZ next Wednesday to feel the wrath of shareholder displease over the revelations at the Hayne royal commission. More hybrids and other issues to come from our slimming banks? That could be the outcome of a new move by APRA, the banking regulator to force banks to hold more loss-absorbing capital by 2023. What’s Next For The Big Four Banks? The big four banks have survived a tough year financially unscathed, but with their reputations sullied what does 2019 look like? It appears ANZ Bank’s FY18 report slightly missed Morgans’ expectations, but the broker is prepared to make the call this bank’s rough patch is nearing an end. The next couple of years should be “smoother”, if Morgans’ assessment can be relied upon. Fresh after announcing a 5% fall in cash earnings and an unchanged final and full year dividend, ANZ says it has abandoned attempts to float its unwanted NZ finance arm, UDC Finance. ANZ will not require shareholders to feel the pain of the cost of righting the problems and rorts exposed in the Hayne Royal Commission into misconduct in financial services. Banking analysts at Morgan Stanley have lifted their estimate for customer remediation costs for the banks to $3 billion over the next two years, up from an earlier forecast of just $500 million. 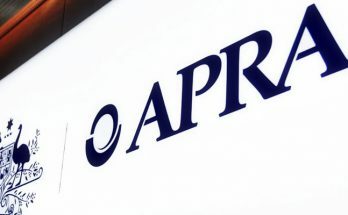 Morgans does not expect the additional provisions stemming from the Royal Commission to hamper the ability of the major banks to achieve APRA’s unquestionably strong CET1 benchmark by January 2020. The ANZ has revealed more than $800 million in additional costs for customer compensation as the bill for the big banks and AMP from the royal commission continues to mount. ANZ has reported a sector-leading capital position in its third quarter update, Macquarie observes, which provides scope for additional buybacks in FY19/20. The bank also recorded its lowest impairment charge since 2014. The bank has sold its NZ life insurance business to Cigna for NZ$700m. Morgan Stanley notes ANZ had not publicly stated the business was for sale, although believes the decision is consistent with the strategy to exit low-return and non-core businesses. The ANZ’s success in raising more than $640 million from another asset sale had no impact on its share price yesterday as investors continued to sell it and other financial stocks in the wake of the big offshore sell off on Tuesday in Europe and the US. As Apple showed last week, there’s nothing like the sniff of extra cash from a buyback to get shareholders sweet on you and so it is with the ANZ Bank which yesterday hinted it could double its current $1.5 billion buyback. Cash earnings in the first half were slightly above Citi’s estimates. The broker notes a large number of one-off items relating to divestments obscured the underlying trends. The CET1 ratio is growing rapidly and now at 11%. Investors gave the ANZ Bank’s interim profit result for 2017-18 a small cheer yesterday. The ANZ Bank will pay an unchanged interim dividend of 80 cents a share after reporting a 4% rise in cash profit to 3.49 billion. 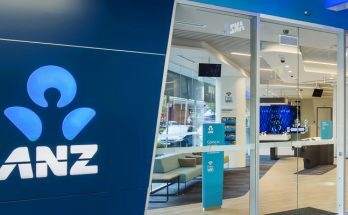 The ANZ has joined the National Australian Bank (see separate story) in preparing investors for a big write down and multi-million dollar series of one off losses in its interim profit announcement next week (May 1). 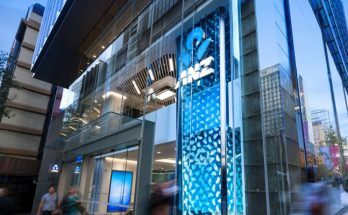 The ANZ Bank says it will now look at floating its NZ asset finance business UDC after a trade sale to a mystery Chinese company was blocked late last year. Morgan Stanley notes the bank is considering an IPO of its New Zealand asset finance business, UDC. Last year, a planned sale of UDC to HNA Group did not proceed. Rating is Equal-weight. Target is $29.30. Morgan Stanley notes the bank has completed more than 50% of its $1.5bn buyback. A further $4bn in buybacks could be undertaken over the next two years. The broker believes a special dividend is unlikely but growth in the ordinary dividend should resume in FY19. 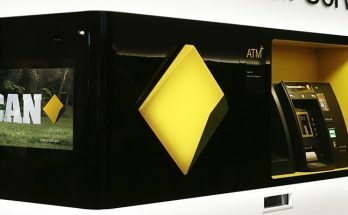 Morgan Stanley observes Australia’s major banks face a deteriorating revenue growth outlook and increased scrutiny, with little room to deliver positive surprise on expenses, loan losses and capital management. The broker believes ANZ offers a good cost story and improving risk profile against this backdrop. ANZ’s first quarter update revealed a lower loan loss charge and a slightly better than expected CET1 ratio. No specific details were given, but the update suggests to Morgan Stanley that first half profit is tracking ahead of the broker’s forecast of $3,550m. The bank has confirmed the sale of UDC to HNA Group will not proceed. This follows the announcement that the NZ regulator has rejected the transaction. Morgan Stanley expects cash profit to be flat for two years. The capital release from asset sales should position the bank to undertake around $3bn in buybacks in 2018 and 2019 and maintain modest growth in earnings per share and dividend. Swiss insurer, Zurich Insurance will pay $2.85 billion ($US2.14 billion), for the ANZ’s life insurance business. Second half net profit was in line with Deutsche Bank’s forecasts, helped by very low bad debt charges. The broker was slightly disappointed with the results at the underlying level and total revenue slightly missed estimates. The ANZ Bank, after revealed the 18% lift in 2016-17 cash profit to $6.94 billion and has hinted that its is looking at handing cash back to shareholders in the form of a buyback. As expected the ANZ’s 2016-17 profit rose strongly from the previous year’s weaker outcome that was hit by more than $1 billion in write offs and other charges. The bank said cash profit rose 18% to $6.94 billion, just short of the $7 billion some analysts had pencilled in. The ANZ yesterday settled a rate rigging case with ASIC ahead of the release of its full year financial figures on Thursday. Did we see a new chair of the ANZ Banking Group put in place across the Tasman for promotion in 2018 or 2019? 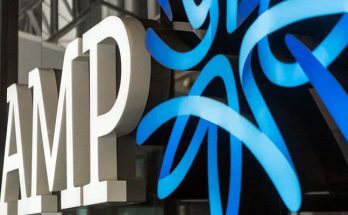 ANZ continues on its self-inflicted diet with the news yesterday that it will sell its superannuation and financial planning businesses to IOOF Holdings for $975 million. The ANZ Bank has confirmed that the big banks are through the worse of rising bad debts, weak revenues and higher capital demands with a surprisingly solid third quarter trading update this morning.